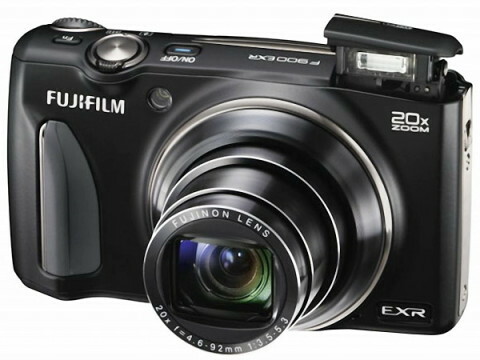 The Fujifilm FinePix F900EXR is a compact travel zoom digital camera that has a body that is easy to put in a pocket and that continues the tradition of Fuji to offer superior photo quality, intuitive use and advanced features. The F900EXR comes with a 16 MP 1/2″ EXR CMOS II sensor that delivers high resolution images with notable low-light performances. This sensor in combination with the EXR Processor II image processor gives camera the ability to shooting up to 9fps, continuous shooting up to 11 fps, as well as a high sensitivity to ISO 12800. The image sensor of F900EXR also incorporates phase-detection pixels into its design to enable a quick and responsive Intelligent Hybrid AF System. 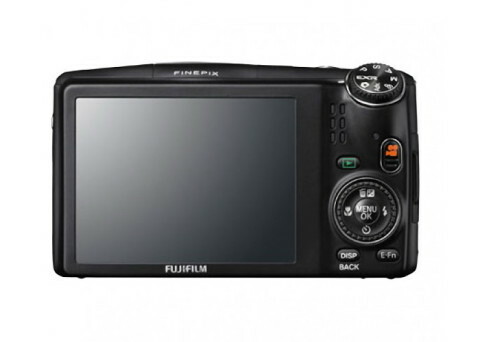 The FinePix F900EXR also features a 20x optical zoom that gives a 35mm-equivalent zoom range of 25-500 mm. With a maximum aperture of f/3.5-5.3 and with aspherical lens elements incorporated into the lens construction, this Fujinon lens reduces the appearance of chromatic aberration and color fringing throughout the zoom range. Also present is a CMOS-shift type image stabilization system that reduces the effects of camera shake. The F900EXR can record Full HD movie up to 1920 x 1080p at 60fps with the continuous phase-detection AF available during recording. Images can be seen on a 3.0″ 920K-dot LCD monitor. This camera also has a built-in Wi-Fi connectivity that allows for instant sharing of images directly to an iOS or Android mobile device. 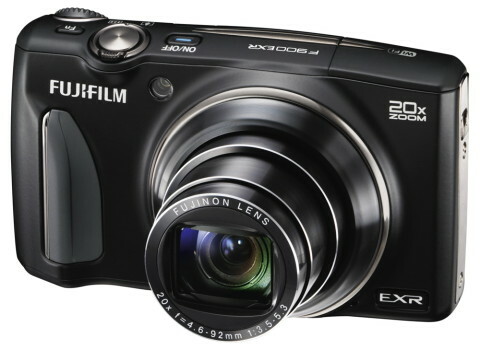 The Fujifilm F900EXR is available in black, gold, champagne, red and indigo blue body colors. 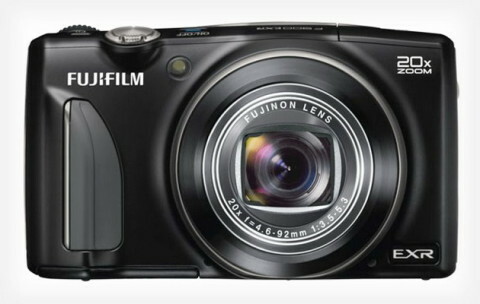 More details about Fuji FinePix F900EXR as well as experts opinions about handling and image quality you can read on pocket-lint.com website. Also, another short F900EXR review comes from digitalcamerainfo.com website.